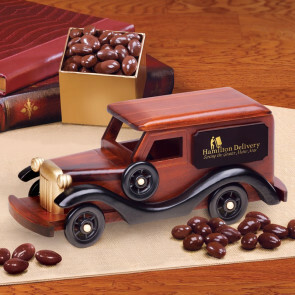 Let your customers and clients know you appreciate them and say thank you, happy holidays or season’s greetings with our collectible wood delivery vans, pick-up trucks, wooden trains or heavy equipment filled with holiday gourmet food gifts and treats. 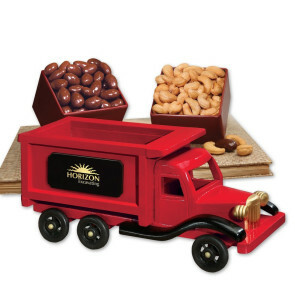 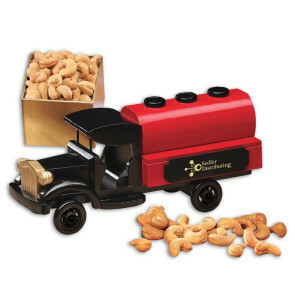 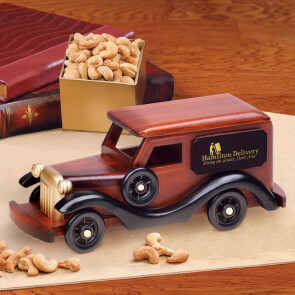 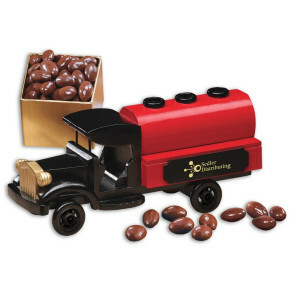 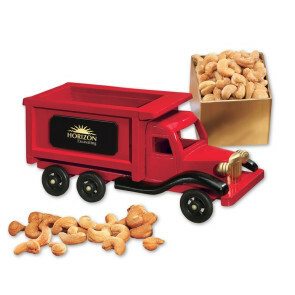 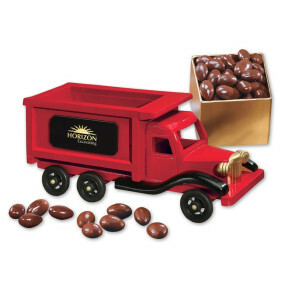 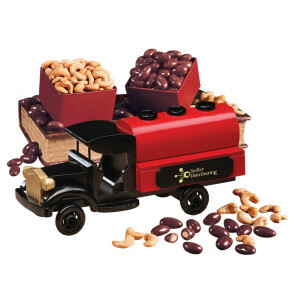 These collectible wood trucks and equipment are custom logo decorated come filled with your selections of chocolate, almonds, cashews, peanuts or other food gift combinations. 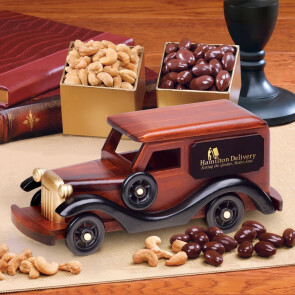 These collectible wood food gifts are packaged in individual mailer boxes ready for delivery to your customer offices or individually to you customers list of recipients.